Your carpets are one of the main focal points of your home. Carpets cost a fair amount of money, give light to every room and make your flooring comfortable to walk on. It is in your best interest to look after them. If carpets aren’t cleaned on a regular basis they can look discoloured, flat and become unhealthy. AAAClean are fully insured, professionally trained and certified in carpet and upholstery cleaning in Uckfield, TN2, East Sussex. We use the hot-water-extraction method (HWE), sometimes incorrectly referred to as steam cleaning. Your carpet will be looking as good as new once we have subjected it to our first rate carpet cleaning service. When the carpet cleaning technician arrives at your premises they’ll initially have a quick inspection of any stains on your carpets. A pre-treatment will be applied quickly followed by a hot water extraction cleaning process. To complete the job, our technicians use dri-pods in each room of your home to make sure your carpets are dry in the quickest possible time. 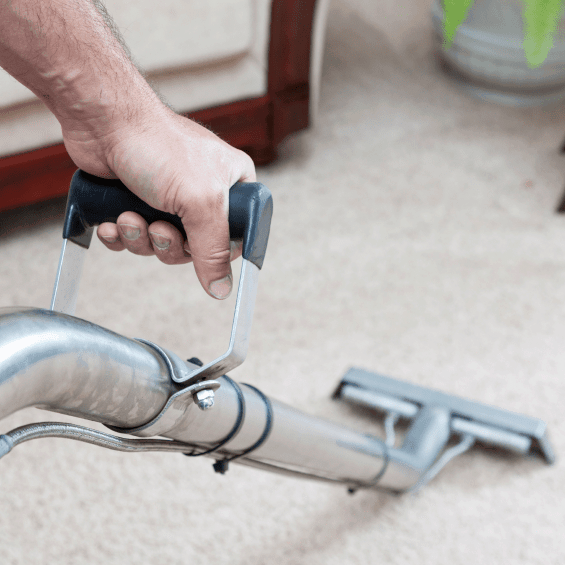 Most Uckfield carpet cleaning appointments we can offer a fixed price quotation on the telephone, but for unique jobs such as urine removal, flood damage or insect treatment we recommend sending your details using the free quote form. Call us now on 0800 023 5205 to see how we can be of any help. Carpets are the most popular option for many homeowners because they look great, they’re warm and soft to walk on and they make a great focal point whilst adding colour to your home. However, keeping your carpets looking pristine, bright and colourful is not easy and can’t be managed with just vacuuming alone. Average day-to-day use of carpets, footfall and spillages take their toll on your home carpets and the only way to keep them in perfect condition is by having them professionally cleaned on a regular basis. Many dated carpet cleaning methods such as carpet shampooing, steam cleaning and bonnet cleaning require a lot of cleaning chemicals and water to deliver a through carpet cleaning. We use the hot water extraction cleaning process for all of our carpet cleaning customers in Uckfield. It’s by far the most safe and effective method of carpet cleaning on the market today. Our powerful machines instantly heat water and detergent in a large solution chamber and a powerful pump injects the hot cleaning solution in to the pile of your carpet loosening up any dirt, dust and debris. The twin vacuum motors extract the dirty solution to a recovery chamber on the machine. We use non-toxic cleaning detergent, not soap or shampoo – this makes our carpet cleaning service safe for kids, pets and much kinder to the environment. Another popular benefit of having your carpets professionally cleaned is that it dramatically reduces the amount of pollutants, allergens and contaminants in your home. Your carpet pile is the perfect place for dust mites, dead skin, pet dander, dust and general dirt to cling to. When walking on your carpet these particles become airborne and can aggravate people with allergies and other respiratory problems. By having your carpets professionally cleaned you can help to reduce allergic reactions, coughing, sneezing and other health issues and irritations. Not only do these microscopic particles cause allergies, but they are also the route cause of depreciation to your carpet fibres. High traffic and heavy footfall areas of your home can suffer greatly and will cause visible wear and soiling as they are stamped in to the carpets pile over time. The same applies to stains and spillages that aren’t correctly extracted. In the end your carpet will suffer. Professional carpet cleaning completely removes stains and engrained dirt from your carpet and will increase the length of your carpets life, ensuring you don’t have to replace it prematurely. Hot water extraction carpet cleaning removes up to 98% of all moisture from your carpet meaning there is zero risk of mould and mildew build up after a carpet clean. Carpets are only very slightly damp to touch and are completely dry in 2-4 hours allowing us to provide you with a hassle free service with minimum upheaval. We move all of your furniture for you and you can even walk on your carpets right away! To so speak with us about having your carpets cleaned by our professional Uckfield carpet cleaners please contact us today on 0800 023 5205 or you can book an appointment instantly using our easy to use booking form on the website.